Flux brush from JBC. 5,5 ml. Flux bottle with an applicator brush from JBC. 15 ml. 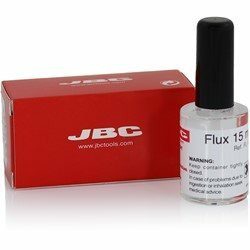 Flux in bottle 500 ml from JBC is equiped with a decanting tube. 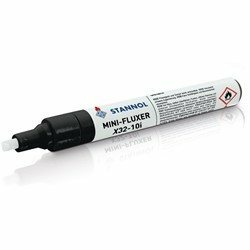 It is a recurring task in electronics manufacture that minimal quantities of Flux: must be applied for certain soldering tasks to be able to make a reliable solder joint. Our Flux: pens are an easy method for applying Flux:es in difficult to access places. 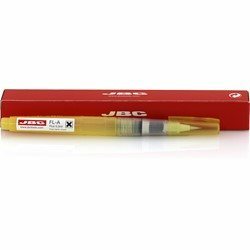 Ideal for rework, repairs and subsequent mounting of SMD components on densely populated circuit boards. 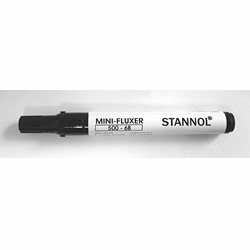 The Flux: pens are reliable, quick, easy to use and cost-effective. 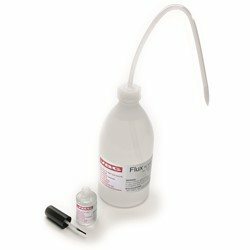 The Flux-Gel Multifix 450-01 is ideal for rework and repairs. 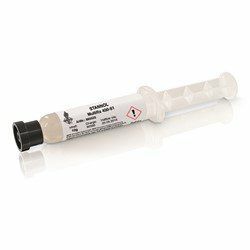 It has mainly the same chemical characteristics as Flux in soldering pastes.